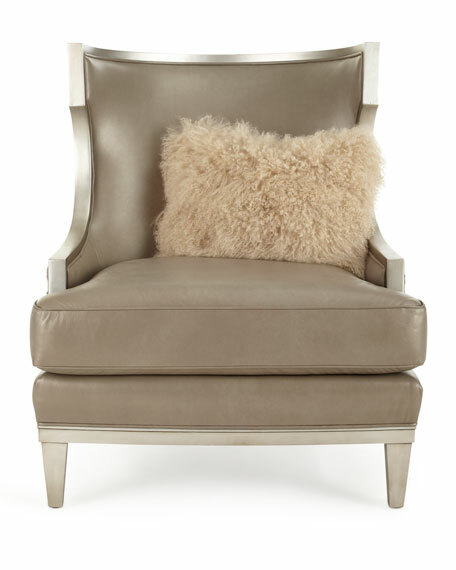 A gorgeous, modern take on the classic wingback chair. 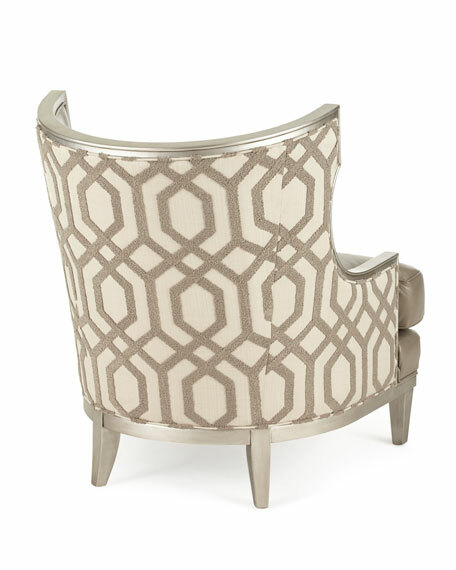 33"W x 36"D x 36"T; seat, 19"T.
In soft metallic gray leather and graphic-patterned polyester, cotton, and linen. 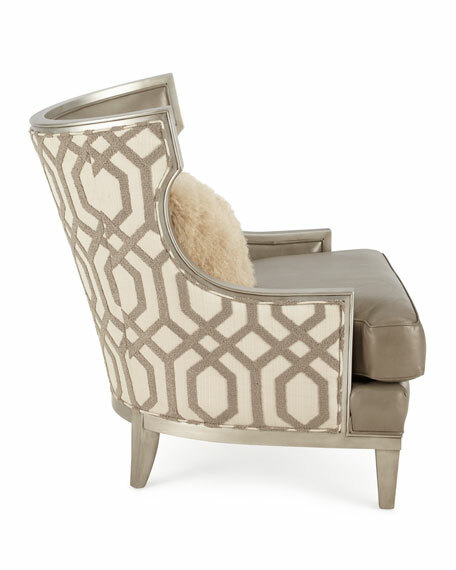 Hardwood frame finished in a platinum hue. 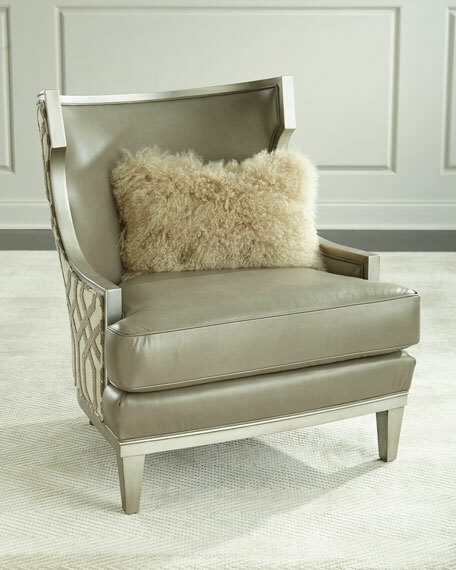 Comes with ecru dyed Tibetan lamb (China) and polyester accent pillow as shown. Weight, approximately 80 lbs. Boxed weight, approximately 90 lbs.